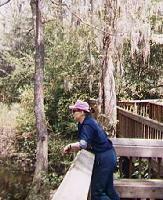 Just outside of downtown Orangeburg, SC, is a string of parks along the Edisto River. 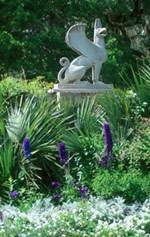 The crown jewel of these parks is the EDISTO MEMORIAL GARDENS. 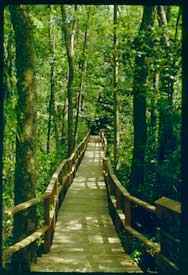 There is a series of boardwalks through the swamp so visitors can enjoy the flora and fauna native to this area. 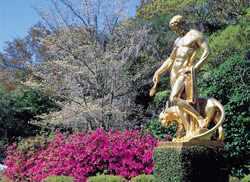 Wisteria and azaleas are in abundance here. 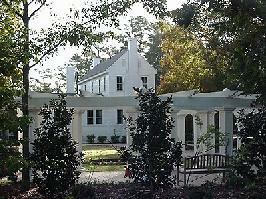 Located in a residential section of Rock Hill is GLENCAIRN GARDENS. 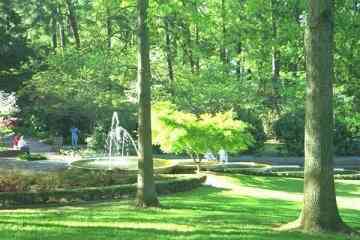 Here we find a very attractive botanical garden with fountains, bridges, walking paths, trees and flowers. 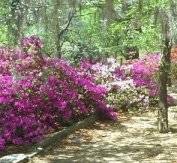 When you first step into HOPELAND GARDENS AND RYE PATCH, located in Aiken, SC, you immediately get the feeling you are in a different world. 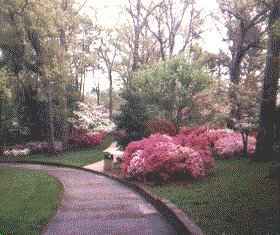 Many miles of paths lead all around the gardens. 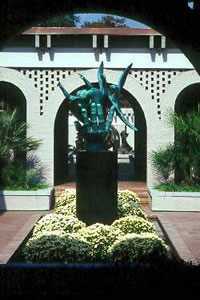 Among the museums on the property is the Thoroughbred Racing Hall of Fame. 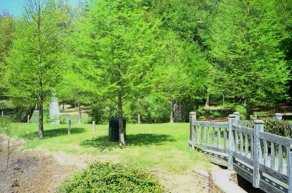 KALMIA GARDENS AT COKER COLLEGE, Darlington County, SC, is now an outdoor classroom and public garden. This land continues to hold its centuries-old fascination for the next generation. 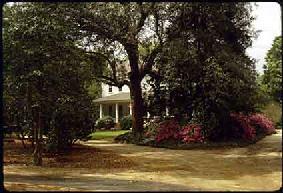 In 1817, a young Society Hill native bought the property and built his house on a bluff overlooking the flood plain of the Black Creek. I've saved, perhaps, the best for last. 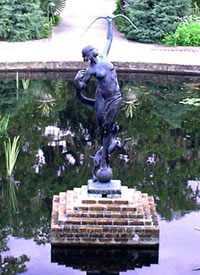 BROOKGREEN SCULPTURE GARDENS, located between Murrell's Inlet and Pawleys Island, is the country's first and largest scrulpure garden. 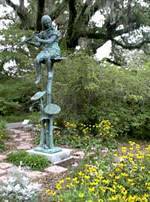 550 works of American figurative sculptors are displayed throughout the Archer and Anne Hyatt Huntington Sculpture Garden. Let's just stroll along and see some of this amazing artwork. 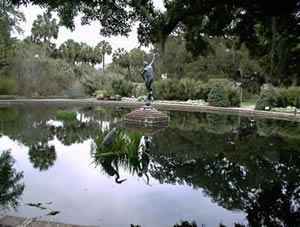 We could spend a lot of time here, but we need to all pile back into the Chevy and we're headed for historic Charleston. If you can catch the banner below, click on it.